Are you looking for a muscle car that will get your heart pumping? 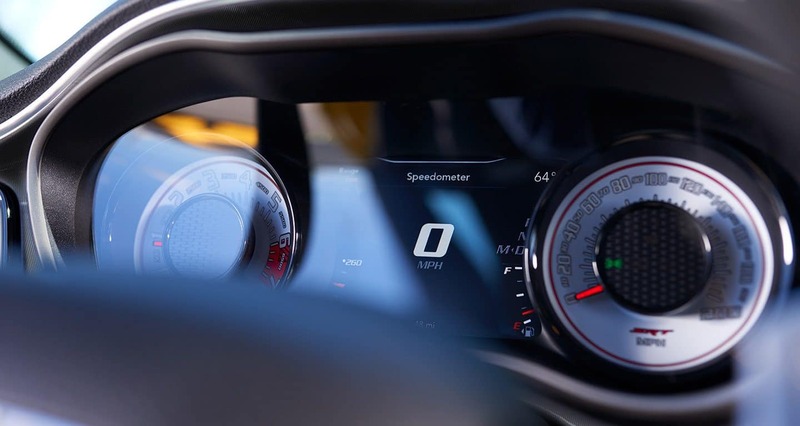 Look no further than the 2019 Dodge Challenger! Boasting more rear passenger and cargo room than other muscle cars on the market, the Challenger makes it easier to bring along more friends and gear for adventures. 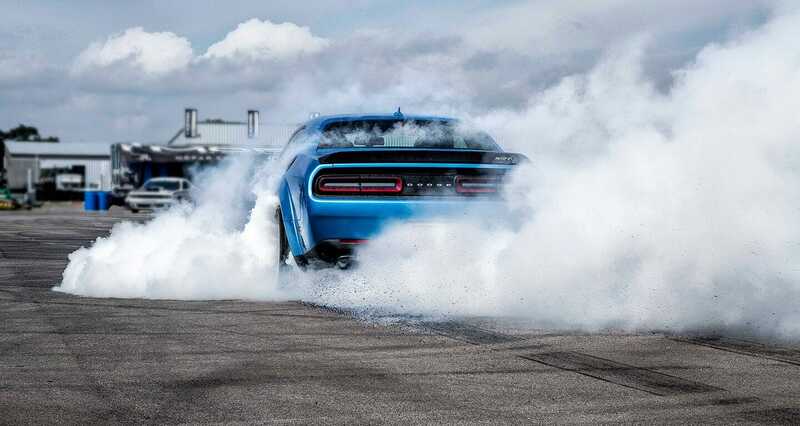 Entering the 2019 model year, the Challenger is filling the Demon-sized holes in your hearts with the introduction of the 797 horsepower Hellcat Redeye model! Other changes for the 2019 model year include a simplified trim lineup and other Hellcat upgrades. Read on to learn even more about the Dodge Challenger and all that it has to offer! 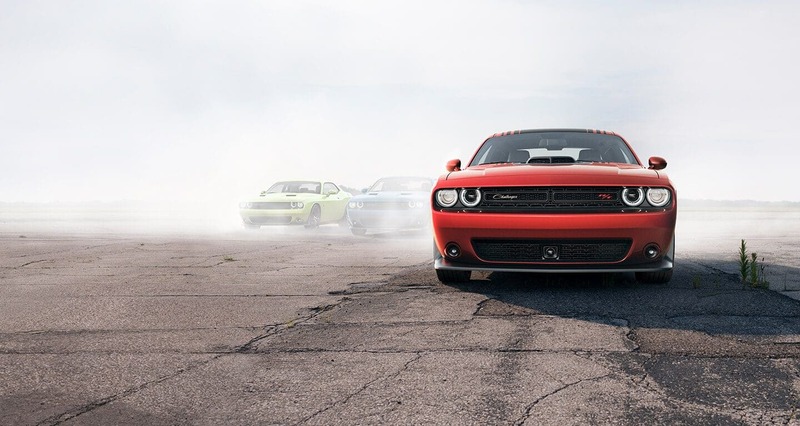 The major Challenger trim levels offered in the 2019 model range from the base SXT model to the new SRT Hellcat Redeye. The SXT trim starts off the lineup with standard features like keyless entry and ignition, a 7-inch touchscreen, a power-adjustable driver seat, dual-zone automatic climate control, Bluetooth, 18-inch wheels, Apple CarPlay and Android Auto, 6-speaker sound system, a rearview camera, and two USB ports. The upper trim levels build on this entry-level trim with features including performance-related in-car apps, remote ignition, Brembo performance brakes, sport suspensions, rear parking sensors, an 8.4-inch touchscreen interface, interior ambient lighting, dual-snorkel hood, xenon headlights, premium Harman Kardon surround-sound audio system, driver assistance features, and so much more! 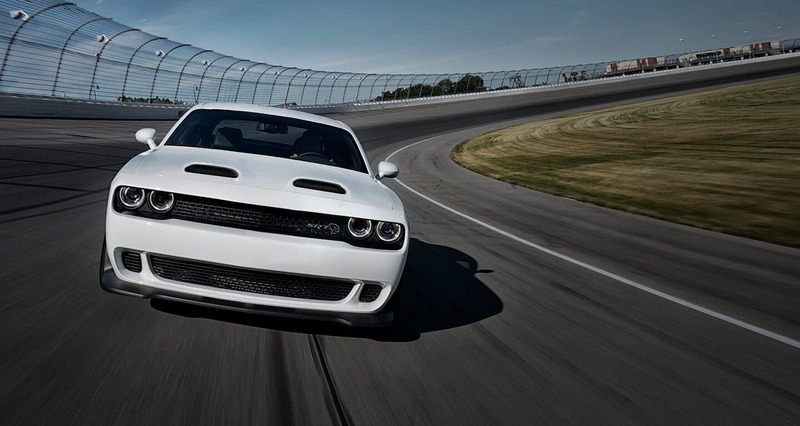 The Challenger's engine lineup is performance geared from the very start! Powering both the RWD and AWD versions of the SXT and GT models is the Pentastar 3.6-liter V6 that pumps out 268 lb-ft of together and 305 horsepower. Looking for more power? Opt for the 5.7L V8 engine that generates up to 375 hp and 410 lb-ft of torque depending on the transmission its paired with. Are you in need of even more power? The 6.4L V8 may be the engine for you, pumping out 475 lb-ft of torque and 475 hp. 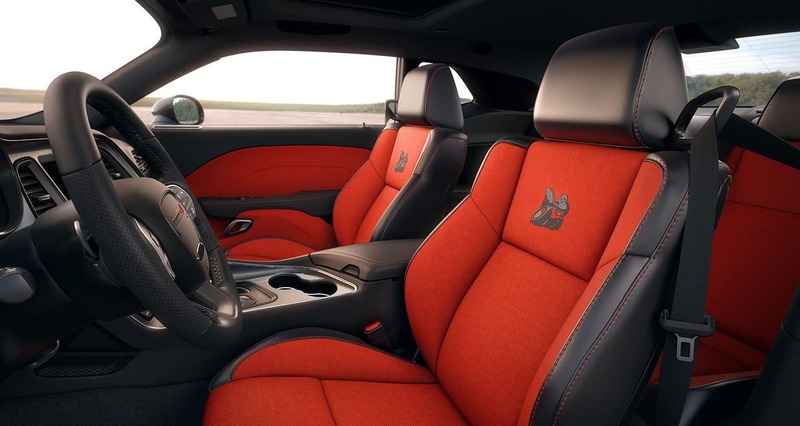 The SRT Hellcat houses a supercharged 6.2L V8 that outputs 656 lb-ft of torque and up to 717 hp. The final and most powerful engine is found underneath the hood of the SRT Hellcat Redeye model. This 6.2L supercharged V8 engine cranks out up to 707 lb-ft of torque and 797 horsepower. 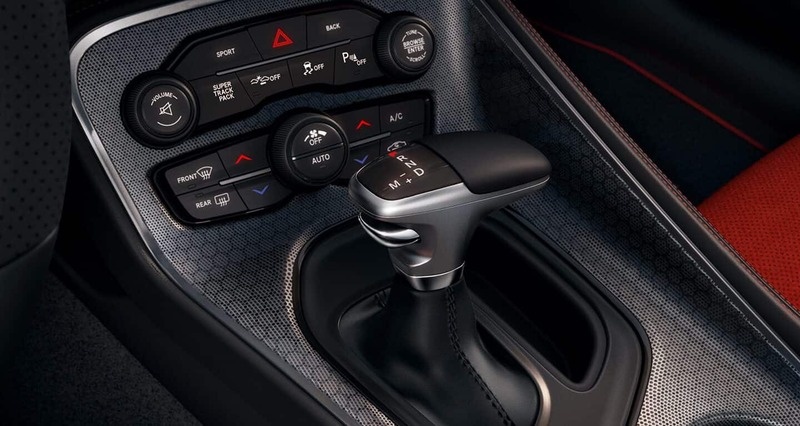 An eight-speed automatic transmission is the standard match to all engines but you can opt for the available six-speed manual on some trims if you so choose. The Challenger is known as a guardian with grit, offering a long list of standard and available safety and security features that will keep you protected on the road or the drag strip! Available features like full-speed forward collision warning, adaptive cruise control, blind-spot monitoring, and automatic high-beam headlamps help you stay aware of everything happening around the Challenger so you can drive with confidence and peace of mind. The chassis of the Challenger is engineered with high-strength steel for added passenger protection. The frame also features front and rear crumple zones which absorb impact from crashes and redirect it away from the passengers inside the vehicle! There are also airbags installed throughout the cabin for even more preventative safety. Other stand out features for the 2019 model year include available rain-sensing windshield wipers, rain brake support, active front head restraints, hill start assist, all-speed traction control, and electronic stability control. 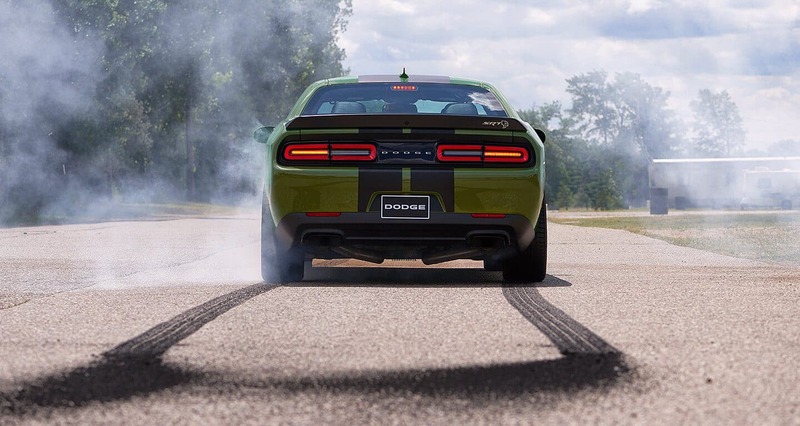 The 2019 Dodge Challenger is a beast and it's ready to bring your commuting and adventures to the next level! Would you like to learn even more about this muscle car and what it can bring to your life? Head on down to the dealership today to check out our Challenger inventory in person and speak with a member of our knowledgable sales team!